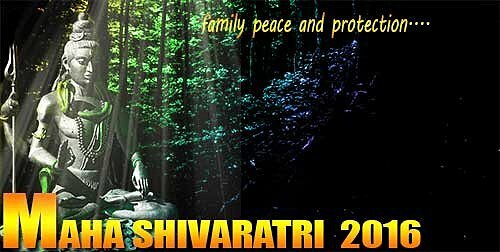 Maha shivaratri Event or the ‘The Night of Shiva’ is widely known with dedication and spiritual dedication honoring Lord (bhagawan) shiva, one of the god of Hindu Trinity. Shivaratri falls on the moonless 14th night of the new moon in the Hindu month of Phalgun, which suggests the month of February - March in English Calendar. Honoring the event of Shivaratri followers observe day and night fast and perform ritual worship of Lord shiva Lingam to appease Shiva. There are quite a few motivating tradition based on the event of Mahashivratri. Based on one of the most well-liked tradition, Shivaratri marks the marriage day of Lord (bhagawan) shiva and Parvati. A few consider that it was on the lucky night of Shivaratri that Shiva carried out the ‘Tandava’, the dance of the primal creation, protection and deterioration. One other popular Shivratri history produced in Linga Purana says that it was on Shivaratri Shiva described himself in the form of a Linga. To ensure the day is considered to be very fortunate by Lord shiva devoees (upasak) and they celebrate it as Maha shivaratri - the grand night of Lord shiva. Shivratri is taken into account particularly fortunate for ladies. Married female wish for the overall health of their spouses and kids, as well as unmarried females wish for an suitable partner like Lord (bhagawan) shiva, who's the partner of Mahakali, Parvati and Durga. But normally it is thought that everyone who utters the name of Lord shiva in the Shivratri with pure loyalty is lacking all mistakes. They gets to the abode of Lord shiva and is liberated from the cycle of birth and death. Basant (Vasant) Panchami is well-known event that marks the end of winter months time and ushers in the springtime. Maa saraswati is the Hindu deity of the Vasant Panchami festival. Girls have on bright yellow clothes and have fun with the festivals. The colour yellow holds a special meaning for this joyful celebration since it represents the splendor of nature and the vitality of life. An entire place bursts with yellow through the event. Populace dress in yellow providing yellow flowers to others and to the gods and goddesses. Additionally arrange and feast on a special pastry called kesar halwa or kesar halva, that is made from flour, sugar, nuts, and cardamom powder. This dish includes saffron strands, which provides it a vibrant yellow color and mild scent. Over the Vasant Panchami festival, India’s crop fields are filled up with the colour yellow, as the yellow mustard flowers bloom at this time of the year. Pens, notebooks, and pencils are put near the goddess Devi's feet to be blessed before they utilized by students. 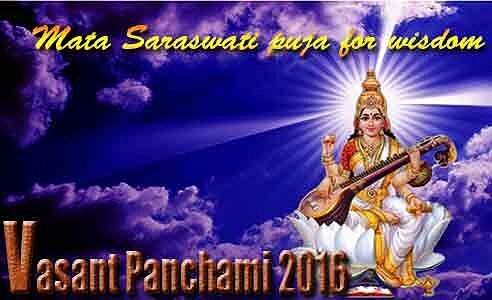 The occasion of the Vasant Panchami is dependant on the Hindu mata Sarasvati. Sarasvati is the mata of knowledge. She embodies the different elements of learning like the sciences, artistry, handicrafts and abilties. She is considered calm and collected. She is often pictured seated on a lotus or a peacock, wearing a white dress. The Mata Sarasvati is the goddess of intelligence and learning. She has four hands which symbolize ego, intelligence, performance and the mind. She carries a lotus and scriptures in two of her hands and she plays music on the veena (an instrument similar to a sitar) with her other two hands. She rides on a white swan. Her white dress is a sign for purity. Her swan shows that populace needs to have to be able to discern the good from the bad. The mother Sarasvati, sitting on a lotus, symbolizes her knowledge. She is also well-versed in the experience with reality. Once the mother is viewed sitting on a peacock, it is a reminder that a strong ego could occur back by knowledge. You can buy any mata saraswati related puja/ yantra/havan/spiritual kit on this day. Saraswati puja /havan/ yagya Muhurth- Any panchami, Wednesday or Vasant panchami. Saraswati yantra/kit keeping muhurth- Any panchami, Wednesday or Vasant panchami.